Aaron began playing the violin at age five. When he was 10, the family moved to Hershey, Pennsylvania, which had only one Black family. Racism made life difficult for him there. He graduated from the Interlochen Arts Academy in Michigan, and received his Bachelors of Music and Masters of Music in Violin Performance from the University of Michigan. 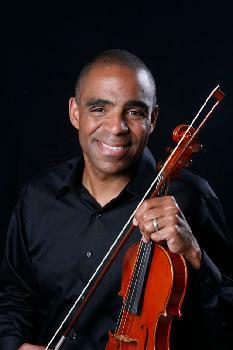 He plays both acoustic and electric violin, and has recorded two CDs, Ebony Rhythm and Bar-Talk. 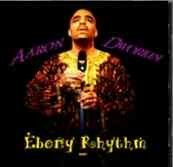 Both are on the Ethnovibe label. "So many times they feel frustrated. You can act out an expression on an instrument and through music in a way that ends up being beautiful. Anger and frustration on an instrument can be beautiful," Dworkin said. Aaron founded Sphinx to help change this situation, to overcome the cultural stereotype of classical music, and to address the isolation and limited access that young Blacks and Latinos face in the classical music world. Shipps said Dworkin inspires people, especially young people. "He's changing the face of classical music," Shipps said. The concert at Carnegie Hall on Tuesday evening offered typical fare: a string chamber orchestra playing works by Mozart, Villa-Lobos and others. But the audience, far from the typical classical music crowd, was overwhelmingly black and Latino, and most were children. Onstage as well, all the players were young black and Latino musicians. It was a sight you rarely encounter at Carnegie Hall. 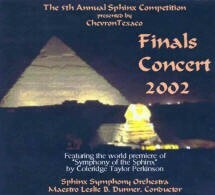 In addition, Sphinx runs a successful competition for string players, also supported by JPMorgan Chase. Every member of the 20-piece Sphinx Chamber Orchestra that performed on this occasion, as well as each impressive soloist, was a past or current prizewinner. 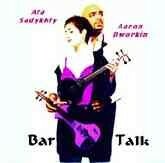 Violinist Aaron P. Dworkin is Founder & President of The Sphinx Organization. He and the group have been awarded one of eight 2005 National Governors Awards, for Distinguished Service to State Government, in the category of Artistic Production. 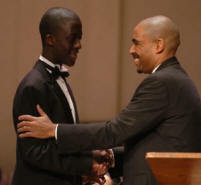 Each year Sphinx programs introduce 20,000 Black and Latino students in 100 urban schools to classical music and the classical music profession. 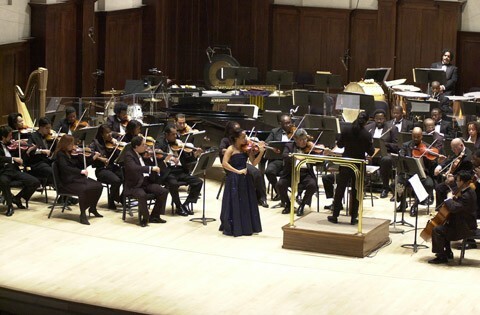 Sphinx seeks to increase the pool of professional black and Latino string players by providing training, scholarships, high-quality instruments, and opportunities to perform as soloists with the country's top orchestras. 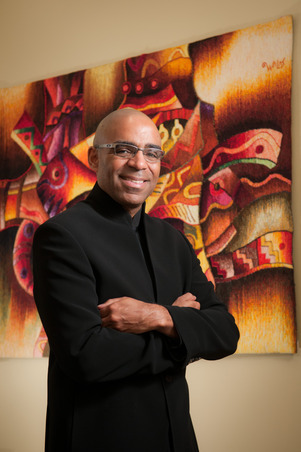 In addition, the group aims to expand minority audiences for classical music through music-education programs in schools, as well as to introduce more works by black and Latino composers to audiences in general. Mr. Dworkin says he chose to focus on blacks and Hispanics because those two groups combined represent less than 4 percent of professional orchestra members, even though they make up 25 percent of America's population. The group's name stands for several things, including the high level of excellence achieved by civilization and the ancient origin of many minority groups, he says.